With over 20 years experience in the health /fitness industry as a personal trainer, group fitness instructor and as an exercise physiologist in cardiac rehabilitation, Catherine is commited to helping people with chronic conditions to become more engaged in their health and wellness. She enjoys checking out new trends in fitness and is always looking for ways to help people on any level to be more active, healthy and fit. When she is not working, you can usually find her camping, skiing, or getting muddy outside with her boys. Michele, as the Clinical Service Coordinator for the Journey to Wellness program, organizes all the behind the scene preparation and detail for new clinical members. She is passionate about helping people get started on a new path leading to positive changes in their lives. Chances are Michele will be the first person you interact with in the program. 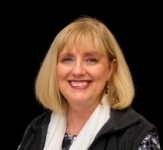 Michele enjoys cycling, hiking, skiing, and all activities on and around the water. 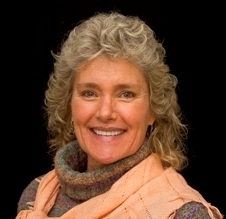 Holly Nickels is a Registered Dietitian with many years of experience in foods and nutrition. Her passion is helping her clients navigate the confusing and conflicting world of nutrition and food that seems to be ever changing. She believes that “food is medicine” and that changing one’s perceptions and outlook toward food is the most important part of good and healthy life. Her goal is to help you on this journey while being realistic, practical and economic. 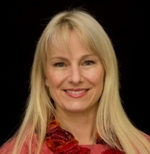 Barbi Webber is a Motivational Speaker and Mentor in the arena of Eating Disorders and Positive Body Image. 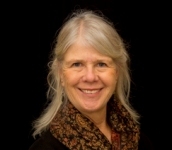 She is a survivor of Anorexia and Bulimia and brings her survival journey together with a BSW from the University of Montana and a heartfelt yearning to make a difference in a persons healing from any flavor of disordered eating by sharing true understanding as well as cognitive and behavioral skills she created to heal. "Please, from my heart to yours..."
"Stop in the moment, linger and express gratitude..."
Christelle has worked for KRMC for over 25 years. Her main focus has been pool classes – teaching a dance class in the cool pool and more therapeutic classes in the warm pool. She has also been working with the Journey to Wellness program and teaching part of the WWE (walking) program. She loves living in Montana and getting outdoors during every season is a priority for her. April Terry is an Exercise Physiologist and Certified Athletic Trainer. She brings unique skills to our program in guiding members with their physical fitness goals and quietly cheers them on in their own Journey to Wellness. For the last 15 years April has worked in a variety of settings, helping people be their best.